This paper provides a theory that empirically examines why mobile wireless carriers share the costs of building networks and provisioning wireless services. Of the cost drivers of network operators, the most influential on the industry’s dynamics are capital investments, which include network infrastructure investments. As the industry evolves, players strive to streamline their services, applications, revenue, and business models to revive this industry. In this regard, one model in particular is the network operators’, which shares network investments and service provisioning expenses to reduce their total expenditures while strengthening their financial liquidity. 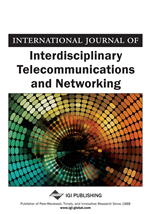 In this paper, the authors integrate research results to provide a new theory on network sharing with concepts and viewpoints that have been developed based on extensive studies of network sharing adopted by network operators and service providers across the world during the past decade. The evolving mobile wireless industry is confronted with volatile market conditions, as illustrated by wireless carriers’ returning licenses, operator’s delaying Third Generation1 (3G) network rollouts, and service providers deferring next-generation services’ offering (Maitland, Bauer, & Westerveld, 2002; Sabat, 2003a). To navigate the tide, the industry’s players are restructuring (Sabat, 2003b; Ure, 2003). Restructuring strategies include adopting stringent performance targets, reducing stakes in non-strategic ventures, spinning off their ventures, liquidating their positions in forward-looking ventures, forming joint venture with an established company in the field, abandoning ventures, exiting the industry, focusing on core competencies, significantly delaying network roll-outs, and launching 3G applications with moderated functionalities (Sabat, 2007). In doing so, companies are primarily guided by the industry’s cost drivers, as the industry is capital-intensive.2 The impact of capital investments (or capital expenditure or capex) on a company’s business viability is described in earlier papers (Sabat, 2002c). The notable cost drivers include network operators’ capital investments, which is the most influential cost driver (Sabat, 2005a). Consequently, operators are vigorously seeking means to reduce their capital expenditure and return to profitability. Sharing the costs of building networks and the expenses in provisioning wireless services (hereafter referred to as ‘network sharing’) is one such strategy that is increasingly being favored by wireless operators. In a network sharing arrangement, an operator essentially joins another operator to build and operate the network, and to provision wireless services. The European Union and several national governments have endorsed the concept of network sharing (European Commission, 2001; RegTP, 2001). Whalley (2004) identified competitive enhancing co-ordination strategies in six different areas that include wireless network sharing. Table 1 presents major network sharing agreements that were reported in earlier papers (Olla & Patel, 2002; Sabat, 2008a; Whalley, 2004).